New event + Interview for ExtraTV & New Sneak Peek of ‘Ashlee + Evan’! Hello everyone! Yesterday (September 7), Ashlee Simpson Ross and Evan Ross were at the event Harper’s BAZAAR Celebrates “ICONS By Carine Roitfeld” in New York. Plus, Ashlee and Evan gave a little interview few days ago at ExtraTV, see the video below. Finally, we have a new sneak peek from the first episode of Ashlee + Evan (premiere tomorrow on E! at 10/9c)! 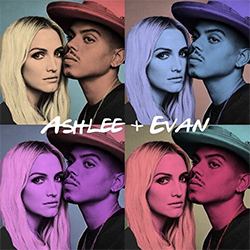 The first song of Ashlee and Evan ‘I Do‘ is a hit! At the moment, the song is #32 on Itunes US charts and at the #7 place on Itunes Pop Charts. This is amazing, I am so happy! We also learned that Spotify will drop a new song of their album every Friday! Ashlee and Evan on ExtraTV tonight! Ashlee Simpson Ross and Evan Ross will be on ExtraTV tonight. There is a new video of Ashlee and Evan posted on E! Instagram account. Don’t forget : Tomorrow, they will finally release their first single ‘I Do‘. They will sing this single in live on 1027KIISFM (OnAirWithRyan)! Later during the day, their first song will be available in download.